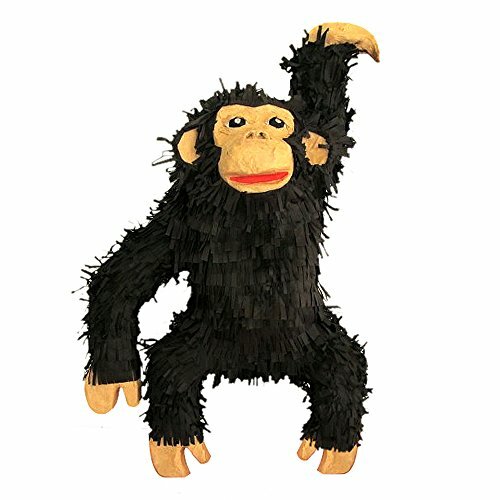 This fun looking Chimpanzee Pinata makes the perfect decoration and party game for a jungle or zoo themed birthday party, kids will love it! This 3D pinata measures 24 inches high by 15 inches long by 7 inches deep and can be filled with up to 3lbs of toys and candy (sold separately). You can use this beautiful pinata as centerpiece decoration for your food table or just fill with candy and toys and play the traditional party game!